At Cityflag, our commitment is to create a more inclusive and transparent relationship between civil society and government. To achieve this, we are committed to improving the level of public participation, transparency of governments and communication channels between government and society. Educating people the value of civic engagement goes beyond the classroom or City Hall. Cityflag is contributing to the development of engaged citizens and civic leaders by building up the direct service capacities. These experiences are intended to give emerging leaders a better understanding of a community that is undergoing dramatic change and greater knowledge of the cityÕs resources to respond. Cityflag introduces the use of government technological platforms to expand public participation channels while facilitating transparency and accountability of public management. It includes apps and web services for citizenship, as well as programs of digital inclusion and civic innovation applied directly to the communities. 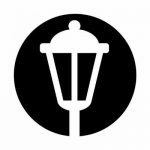 Neighborland is a communications platform that empowers organizations to collaborate with their stakeholders in an accessible, participatory, and equitable way. Our mission is to empower people to shape the development of their neighborhoods. Learn more about our approach and how to work with us. 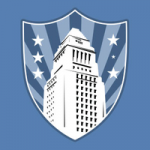 Our real-world design tools and web-based communication platform have served hundreds of civic organizations in the U.S., including city agencies, universities, foundations, and local non-profits. Our partners consistently see 10-100x engagement on their projects compared to traditional outreach methods like in-person meetings and surveys. Neighborland was built for organizations who understand the value of human-centered design. Our platform combines a robust set of features with an ease-of-use you wonÕt find anywhere else. Cartegraph empowers cities and counties to become high-performance organizations. They offer services and software to help local government agencies manage assets effectively, deploy resources efficiently, and become more productive for their citizens. To build high-performance governments, Cartegraph uses a comprehensive, three-pronged approach that combines success coaching, expert consulting, and state-of-the-art software. Cartegraph produces web-based asset, work, and resource management tools to help agencies capture data, analyze it, and prepare for the future. The organization additionally supports agencies with a wide range of services from pavement management implementation and right-of-way asset collection to GIS data reviews and operational dashboard set up. CitySourced is an enterprise platform for local and state government that was founded in 2008. We began as a best of breed service request solution (311, report a pothole, graffiti etc.) but have evolved to focus more broadly on providing government with a complete native mobile app for citizens to communicate with every department of their community. NextRequest streamlines the public records request process for both requesters and the governments staff who manage it. We work with local governments of all sizes throughout the United States. POLCO’s Civic Engagement Platform helps local governments post surveys and questions along with background materials, helps make those questions broadly shareable, and then collects all citizen input and cross-references it against voter-files and other verification lists to produce sentiment and comment dashboards and reports broken down by district and demographics. Cities can ask questions from across the policy lifecycle (general sentiment on parks or even non-binding referenda on agenda items broken down by district), and can share them out through all communication channels including social, and only have to manage the conversation and collect all organized input in one place. 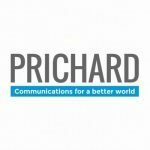 Prichard has provided communications to social change makers across the United States to help make the world a better place. Priority based budgeting is a leading best practice in local government and a powerful lever for change. ResourceX (having merged with the Center for Priority Based Budgeting in 2017) provides the software solution and powerful analytic tools to implement a priority based budget using data and evidence to transparently and exponentially improve results for citizens and the community. 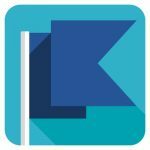 SeeClickFix is a 311 request and work management app bridging the communication gap between residents and their local governments.